Give jewellery with meaning. 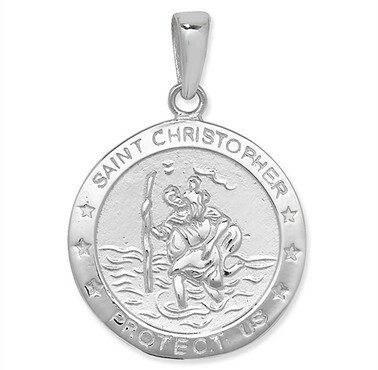 St Christopher is the man who carried Christ across the river. By carrying of the weight of the whole world on his shoulders St Christopher became the patron Saint and protector of travelers. Give this gift from your heart to any relative or friend going on a journey – or just to keep them safe every day. Actual size: 3.2cm inc bale. Includes chain.